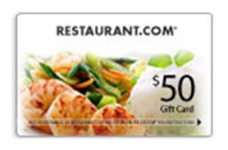 $50 Restaurant.com Flash Giveway (until 5pm EST) << – – Click to enter! « HOT DEAL: $98 Robe for $29 – will go fast! + More Great Deals!